Sanjay is part of the core team that helped the firm scale from a startup to India’s leading private equity firm with over $3b million under management in eight teen years. He joined Chrys Capital in April 2000 and currently leads the Business Services, Financial Services and Manufacturing verticals for the firm. Sanjay has been on the board of several companies such as Infogain, KPIT Technologies, Liquid Hub, Shriram Transport Finance Company Ltd, Titagarh Wagons Limited etc. He has led several high profile investments of the firm such as HCL, Infosys and Cyient and has also worked extensively on managing exits for Chrys Capital, where the company has been an industry leader. 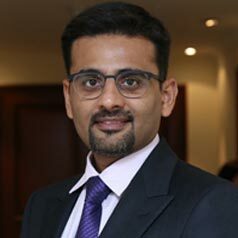 He holds an M.B.A. from the Indian Institute of Management, Bangalore and a Bachelor’s degree in Economics from Shriram College of Commerce, Delhi University and has also attended Executive Leadership Course for top management from Indian School of Business, Hyderabad.